New managed IT services offering focuses on financial industry solutions. 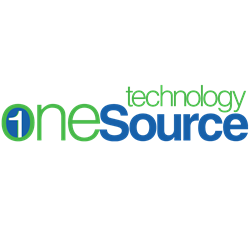 NetGain Technologies announced today that they will be offering a vertical-focused option on their traditional Technology OneSource managed services. The new offering is for firms within the financial industry who are audited on a regular basis. “Financial institutions have highly-regulated, unique environments, and because of rapidly-changing technology, audits are increasingly source of challenge. This new offering allows our experts to stand shoulder to shoulder with our financial clients during the actual audit,” said Executive Vice President of Operations, Rob Wildman. Technology OneSource for the Financial Industry will encompass established managed IT services, such as 24 x 7 network monitoring, hardware maintenance and help desk support, in addition to time allocated to being on site during audits. Additional services offered include security measures such as penetration testing and remediation, and a complete, customized security suite with options for enterprise console, endpoint firewall, antivirus, web filtering and mobile device control. “The overall goal of this offering is to provide the financial industry with increased confidence when dealing with audits as well as the security they need to promote customer service and defend against evolving security threats,” said Bret Anderson, executive vice president of marketing. This reveal adds another angle to NetGain Technologies’ accelerated involvement within the financial realm. Earlier this year, they achieved SOC 2 Type II certification, certifying the quality of operational controls as they relate to security, integrity, availability, confidentiality, and/or privacy with client data. In addition, they have become active within five new banking associations across their six-market regional spread. NetGain Technologies is a leading provider in the design, procurement, implementation and management of high-performance IT solutions. With services ranked among the best in the world by MSPmentor and CRN Tech Elite, a multi-state regional footprint and three decade pedigree; we’ve helped thousands of unique clients thrive by leveraging our best-in-class service and support programs.